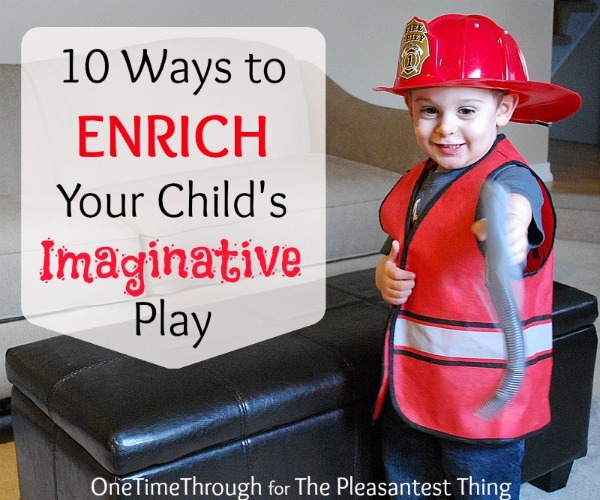 My son Onetime has always loved imaginative pretend play. When he was a toddler, it started off with pretending that the large black ottomon in our living room was a train and we would take endless rides together. At the age of 6 now, Onetime continually blows me away with his creativity and innovative thinking. 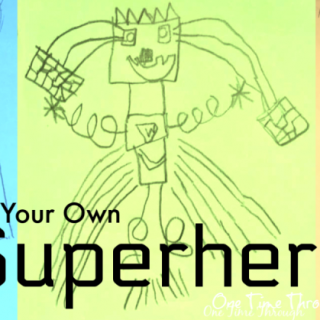 I see it in his artwork, the stories he is constantly writing in Book Creator, and in his general thinking and ability to make connections outside the box. I tend to attribute a lot of this creative ability to some great parenting advice I found when Onetime was little. Today I’m sharing that advice in the form of 10 ways that you can help extend and enrich your child’s thinking through imaginative pretend PLAY. You don’t have to be an actor (or even a dramatic person) to use these tips – you just need a sense of fun, and maybe a little pinch of courage to step out of your adult role! 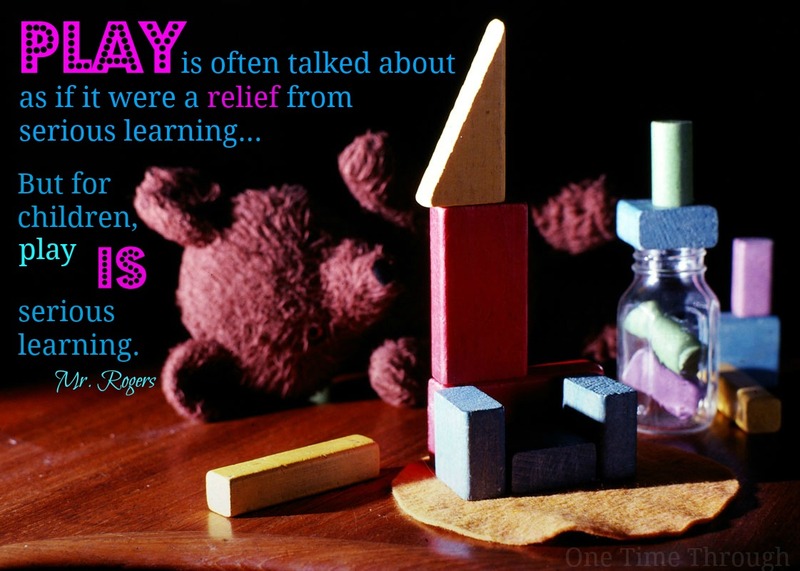 I once read somewhere that play is a child’s work and I couldn’t agree more. When he was younger, my son seemed to process his experiences through his play. After a particularly scary ride in an ambulance after an allergic reaction to peanuts, the ottoman became an ambulance and paramedic headquarters for several weeks. Children work out problems, try on different adult roles, and stretch their imagination to great lengths – all through play. ‘Make-believe strengthens a wide variety of mental abilities, including sustained attention, memory, logical reasoning, language and literacy skills, imagination, creativity, understanding emotions, and the ability to reflect on one’s thinking, inhibit impulses, control one’s own behaviour, and take another’s perspective’ (Berk, 2009). The Benefits of Joining In…Why Get Involved? 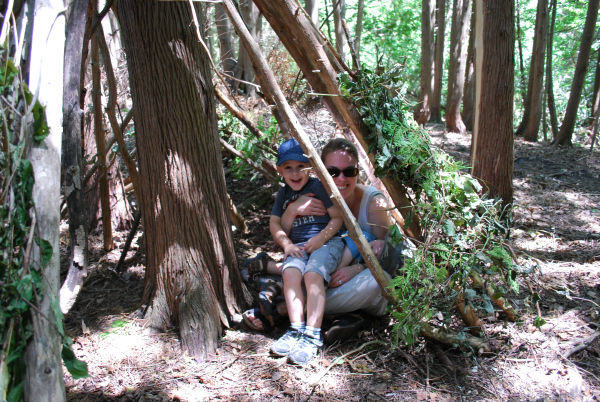 So if our kids already play naturally on their own, what are the benefits of joining them? 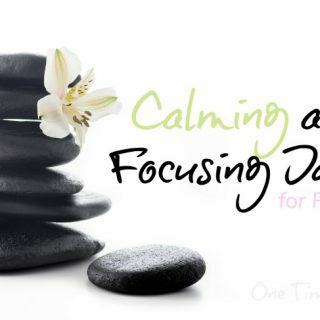 According to Lawrence Cohen, author of Playful Parenting, simply playing with your children, in the way that they want to play, can deeply enrich your connection and bond. After reading this book, I was convinced that I wanted to join in on my son’s play more often. 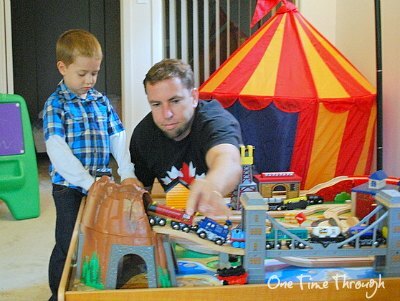 And with lots of fun ideas to do that from the book, we began to play together regularly. 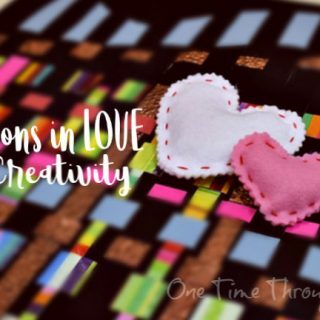 Eventually, what I realized through playing with my son, was that there were many benefits other than connection that emerged from our time together. Help him make connections between his play and daily life. My past experiences as a behaviour therapist, teacher, and amateur community theatre actor, combined to help me enhance our play in these ways. 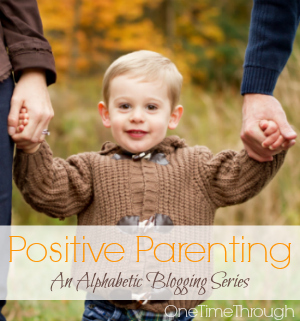 The benefits for my son of our play time together were obvious to me when he was little, and are still obvious now. Check out my tips below to see some of the things I did that you could try. 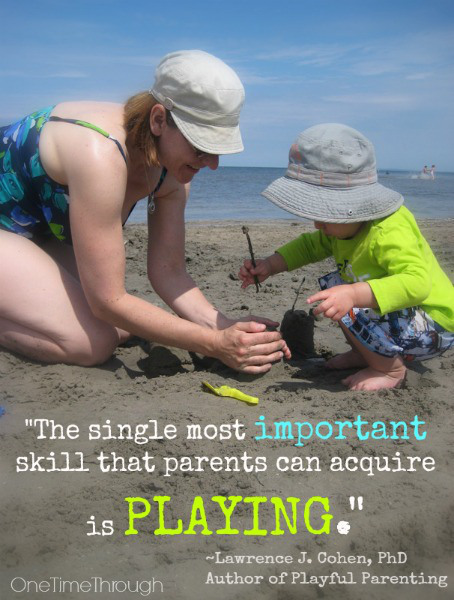 One of the easiest ways to enrich your child’s play, and one of the best ways to connect with your child, is to join them in their world. 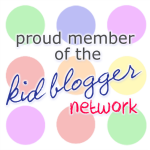 Most kids will happily play pretend on their own, but are thrilled if you play with them. The trick is to follow their lead and allow them to control the play. Accept any and all ideas that your child presents (unless it’s unsafe!). In the world of theatre we say “Don’t block” another actor’s idea when improvising. Go with the flow. Always try to go along with your child’s suggestion. Also try not to say, “No” or “That wouldn’t work.” Even if your child’s suggestion is silly or doesn’t make sense, try to find a way to use it somehow. 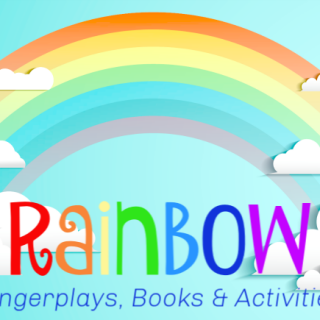 Remember – play doesn’t have to be realistic – it can be creative and nonsensical and silly! When you are playing with your child, allow them to be the leader. 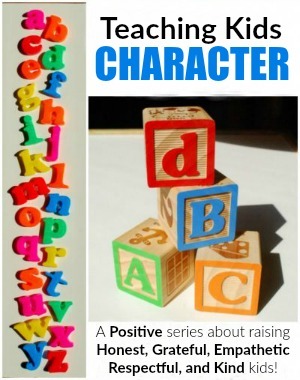 You can take on the role of a helper or a subservient character. They love this chance to be the one in control. Be the patient to her doctor, the sidekick to his explorer, the employee to her boss, the junior firefighter to his Fire Chief. This will automatically get your child taking on leadership skills and thinking more creatively! Sometimes kids get stuck in a rut when they’re playing pretend. They will act out the same scenario over and over again. There’s nothing wrong with this – it’s just their way of processing an experience even deeper. However, this is a great time to introduce a new element that may not have occurred to them. For example, if you’re playing store – maybe the money could suddenly go missing. If you’re playing astronauts and you’re flying to space in your rocket-couch, maybe something could go wrong with the engine. If you’re playing choo-choo train, maybe you notice some bad weather approaching. Get the idea? Remember to think outside of the box, and let your child take the lead on fixing the problem! One of the bonuses of playing with your child is that you will have more information about the situations than your child, and you can add this into your play. For example, when I started joining my son in his ambulance and paramedics play, I would make comments about different types of equipment or medical devices that we might use to help our stuffed animal patients. I could model how to use a stethoscope and a thermometer. Or comment on our patients’ temperatures. I could tell my son that the doctors and nurses would now take care of our patients once we got them to the hospital and we could return to the ambulance. As you’re playing, you can help “notice” visual things in your mutual pretend environment. Now the boys can reel the fish in. With a suggestion to paddle to the next fishing spot, they were happily imagining for another 5 minutes while fishing at a “new” spot! You can comment that the station is getting closer as you ride along on your train. You can point out that the cookies are burning in the oven for the tea party. You can point out a giant wave approaching your pirate ship! All of these details will help your child picture their imaginary world even more clearly which will lead to more fun and deep thinking. When actors are improvising, it’s a big no-no to ask the other person questions because it can put them on the spot and then the improvisation can fail. With kids, it’s best to not ask too many questions that pressure your child while you are playing. Questions can be used positively as a way of letting your child know that you are following their lead. Both of these will help your child know that they’re in the lead and that you are willing to follow. As an elementary teacher, I am famous for having the best costume tickle trunk around for my drama classes. Over the years I’ve collected countless costumes, hats, accessories, and fun props… from magic wands and mystical globes to a genie’s lamp and a bag of pirates’ gold. Why do I do it? Because kids love dressing up! 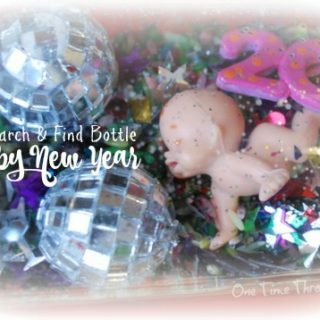 But you don’t need an amazing collection to add props to your fun. The younger the child, the less help they need to boost their imaginations. Preschoolers are often quite happy with a hat and a small prop. 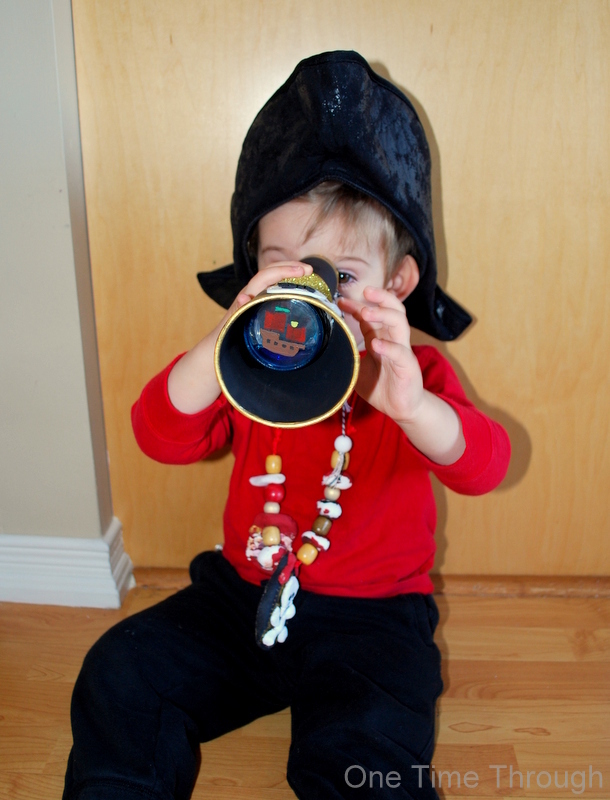 Visit your local party store or dollar store for simple toys and props that will enhance your child’s play. You can always make simple costume pieces too. 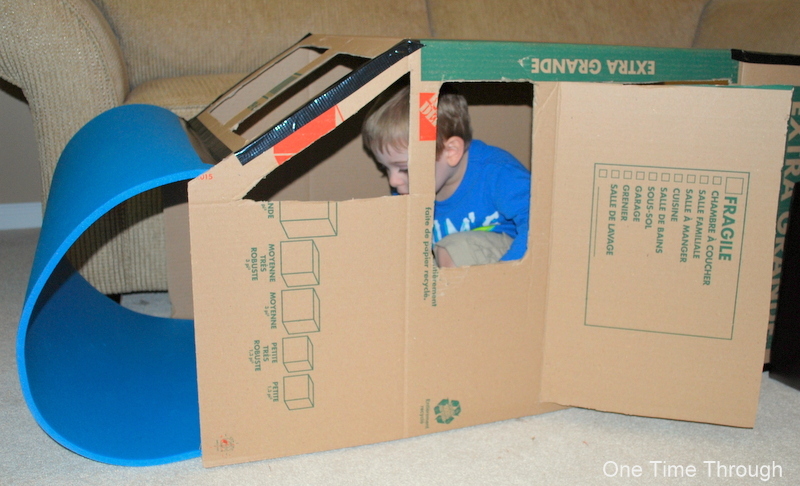 One of the best props for imaginative play is a large cardboard box. We have made boxes into trains, planes, firetrucks, rocket ships, the CN Tower, carwashes, etc. If you don’t have any boxes at home, check out the large moving boxes for sale at large hardware stores. 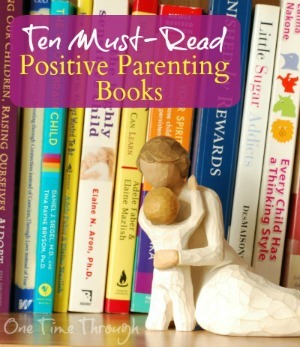 If your child shows they are interested in a certain topic through their play – find some books to read that go along with that topic. 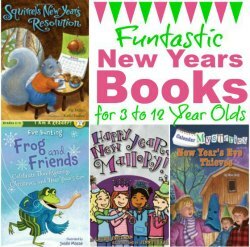 It’s almost guaranteed that your child will be more engaged with the reading, and they will learn more too. Reading both fiction and non-fiction books will broaden your child’s understanding of the topic, while adding more juicy details to their pretend play the next time they come back to it! When kids are learning new things from books you read together, you will get a window into their thinking as they spontaneously add details to their play that you know came from a story. Police officers write tickets. Grocery store employees hand out receipts. Shoppers write lists. Fire fighters write reports. Astronauts write daily logs. Tea party hostesses send out invitations. 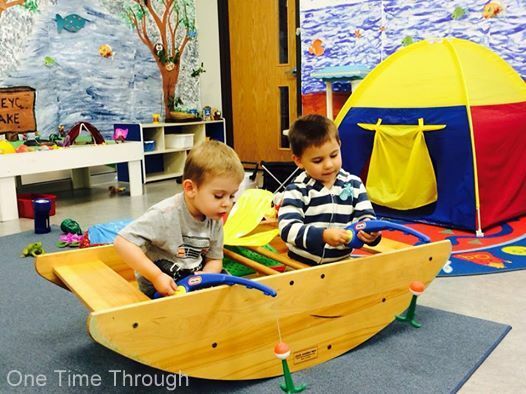 Introducing these kinds of activities add authenticity to playtime while encouraging literacy! All you need is paper and crayons or markers. 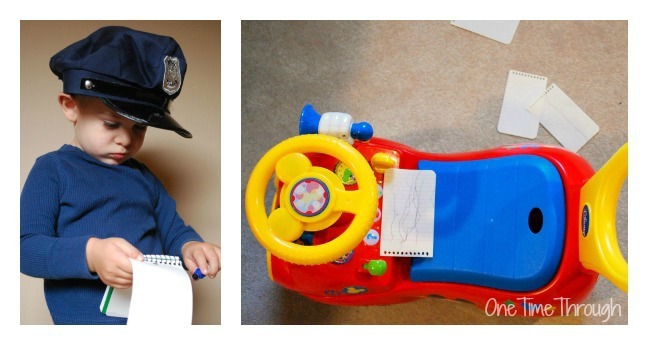 Police Officer Onetime busily writing tickets for speeding cars! After providing my Police Officer son with a “Ticket Book” and a pen, he had written dozens of speeding and parking tickets for myself and my husband, as well as several innocent stuffed animal bystanders! What a great way for him to connect meaning to writing. And he obviously had fun! To show you how this might all look together, I’ve included an excerpt of a fire fighting play session with my 2.5 year old son Onetime that I tape recorded. Our actual words are in italics and my notes are in brackets. Note: at this time, my son was still referring to himself by his first name, not I or me yet. 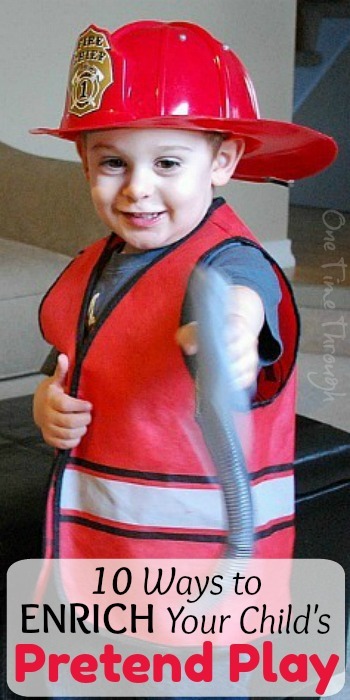 Onetime: Let’s play fire fighter Mama! Onetime: Ding, ding, ding. There’s a fire! Onetime: Onetime’s got my key. Someone is hiding in the house and it’s on fire! Me: Hmmm. I think we forgot something. Me: I think we need to go in. Onetime: Smoke – there’s a person! Let’s rescue them! Call for a ambulance. Onetime: We at the fire station. We hang up our hoses to dry. (Read about this in one of our books.) We got a fire extinguisher over here. (short pause) There’s another fire Mama! And here we go again! LOL! 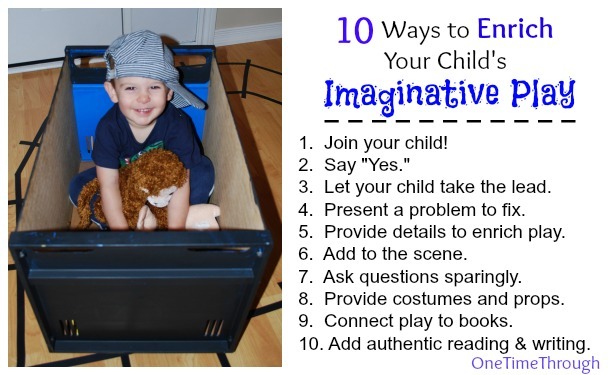 Hope these tips will help you and your child or children have many fun and enriching days of imaginative play together. Trust me – these will be the special times that you won’t forget years from now when your children are all grown up – and neither will they! Pin and share the ideas!